Welcome to Shepherd University! We are a 5 Star Challenge School! 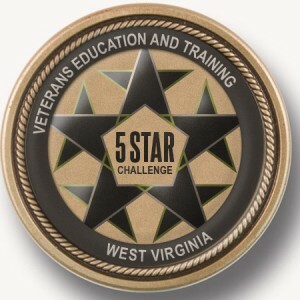 In November 2015, Shepherd University accepted the 5 Star Challenge-an initiative that encourages all of West Virginia's two- and four-year institutions to adopt a set of standards to help veterans achieve an education. Providing a signed commitment from the Shepherd University President to adopt best practices and standards. Emphasizing a focus on increasing access and affordability to higher education for student veterans. Providing increased academic support, including priority registration for classes. Enhancing social networks for veterans on campus. Encouraging greater collaboration with community organizations working to meet the needs of military service members. A copy of your Certificate of Eligibility (COE). To apply for benefits online, visit https://www.ebenefits.va.gov/ebenefits/vonapp. Note: Remember your confirmation number! Form 22-1995 Complete this form if you are transferring education benefits from another institution. After your submission, Shepherd's VCO will certify your enrollment with the VA approximately one month prior to the beginning of the enrolled semester. You will receive an email from the VA to your Shepherd email when Shepherd's VCO has certified your enrollment or verifies any changes you make to your enrollment. Prior to each semester using benefits, you must complete a new Veteran Enrollment Certification Form and submit it to Shepherd's VCO. The Veterans Support Services office (Student Center, Room 120) is here to support you during your time at Shepherd. Student Veteran Organization. The Student Veteran Organization fosters fellowship among veterans and helps to raise awareness about veterans' issues, resources, and benefits. Like us on Facebook! Disability Support Services, Gardiner Hall Ground Floor, 304-876-5122. Facilitates student success by providing accommodations that allow students with diverse needs to achieve their academic and social potential. Counseling Services, Gardiner Hall Ground Floor, 304-876-5276. Free confidential counseling is available oncampus to all students. Programs and Events. Specific programming for veteran students.